Is it possible to change the world? Can we make the world a better place for all? The answer is YES. 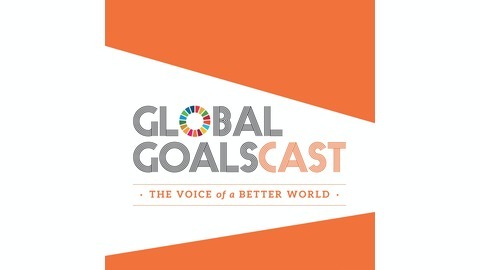 Claudia Romo Edelman and Edie Lush share the inspiring stories of people working to create a more sustainable world while sharing simple ways for you to start taking action today. How will Artificial Intelligence shape the next decade? Will thisrevolution be a positive force, spurring global growth and improving lives around the world? Or will the benefits flow heavily to those who already have the knowledge and wealth to use these revolutionary technologies? Edie Lush and Claudia Romo Edelman pursue those questionsaround the world. They speak to an author of a major United Nation’s report who says that AI will spur global growth more than earlier innovations like steam power. But who benefits from that growth will be shaped by how well Africa, Latin America and the rest of the Global South absorb and adapt these powerful tools and manage the inevitable disruptions to work. “In some ways, the Luddites weren’t wrong,” says the co author of the report, Michael Chui of McKinsey. In other words, AI can either help achieve the Sustainable Development Goals or move them out of reach. To understand what is already being done in Africa, Edie and Claudia speak with two African experts, Nathalie Munyampendaof the Next Einstein Foundation and Abdigani Diriye from IBM Research in Nairobi. They stress the importance of Africans developing African solutions to solve Africa’s challenges. “The conversation really needs to be around how we can effectively use artificial intelligence to improve the human condition and how we can prepare ourselves and the next generation,” says Diriye. Two special guests cite one basic challenge: inclusion. Christopher Fabian, innovation expert from UNICEF, and Rosemary Leith of the World Wide Web Foundation, note that half the world is not yet on the internet. Those who are not connected do not and will not have access to the powers of AI. 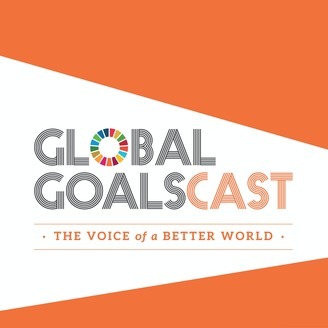 This episode also features a conversation about the gig economy with Jennifer Rademaker, Executive Vice President of Global Customer Delivery at Mastercard, the sponsor of Season Two of the Global GoalsCast.